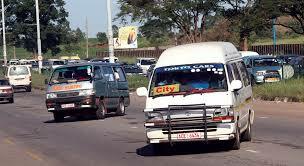 The Zimbabwe Republic Police (ZRP) has declared that police officers should not be involved in the transport business as part of measures to end corruption and restore public confidence in the force, according to reliable sources. The ZRP has also ordered an end to all unnecessary salary deductions for its members save for those done through the Salary Service Bureau. Police sources said the order was made by Acting Commissioner-General Godwin Matanga last week during a meeting he held with senior police officers. Some of the senior officers who attended the meeting said the acting police chief also ordered that all the money that was being deducted through Kuyedza Women’s Club be done according to the force’s policy, that is voluntarily or willingly. “The police chief emphasised during the meeting that the following should stop; that is unsanctioned money collection. Kuyedza should be done as per policy-standing and that resources constraints should not be used as an excuse for poor service delivery,” said one of the police sources. The ZRP will soon conduct audits to check for any malpractices, according to the sources. Upkeep fees that were reported to have been paid by recruits have also been banned and their training should be funded by the force. Last week, the ZRP admitted to inadequate supervision and unbecoming behaviour by its members, leading to erosion of public trust, faith and confidence in the force. Addressing senior officers in Harare, Acting Police Commissioner-General Matanga said the force would not hesitate to resuscitate the National Development Committee and to empower the Inspectorate Unit to enhance supervision of police activities at all levels. “There is a well-known Shona saying that, ‘kugona chivi kuzvituka’. May I, therefore, urge all of us to self-introspect, accept that our challenges emanate from lack of or inadequate supervision and unbecoming actions by some of our members, which have no doubt eroded public trust, faith and confidence in the police service,” he said. Acting Comm-Gen Matanga said refresher, developmental and induction courses would be conducted with renewed vigour so that all officers had in-depth knowledge of police work.